in all 41 states to which the brewery distributes soon. Longmont, CO and Brevard, NC – Oskar Blues Brewery, the first craft brewery in the country to brew and hand-can its beer 12 years ago, has continued explosive growth in 2014 by posting a 25 percent increase in sales of its flagship brew Dale’s Pale Ale AND expanding to 149,000 barrels of production between its two breweries. This follows nine years of consecutive double digit growth that again landed Oskar Blues a spot in the top half of the Inc. 5000 list of fastest growing private companies in the country, sharing that award with companies such as Zappos, Under Armour, and Microsoft. The brewery moved up three spots to number 24 on the annual Brewers Association List of Top 50 U.S. Breweries, based on a 40 percent increase in revenue. In 2014, Oskar Blues released TWO new beers–the Old Chub NITRO, the strongest American NITRO beer available, and PINNER Throwback IPA, which, at 4.9 percent, is an overdue foray into the session IPA world. Additionally, the brewery added 60,000 square feet to its ColoRADo brewery for expanded production. OB’s specialty brew, Death by Coconut, won a silver medal at The Great American Beer Festival in September. This uber-chocolatey, dark and nutty brew, brewed at the original brewpub in Lyons, ColoRADo, can be found at various times in the OB taprooms. Colorado’s funky little Lyons brew-pub has grown to become the largest American craft brewery to package beer exclusively in cans, and distributed more than 35 million CANs of fresh beer in 2014. The majority of growth in 2014 came from existing markets, as well as distribution expansion in Missouri, Kansas, Nevada, Delaware, Minnesota, Idaho, southern Alabama, and central California last year. In January 2015, Oskar Blues announced the launch of Iowa, Nebraska, Vermont and Maine, and plans to launch an additional 3 to 4 states in 2015. In addition to capacity increases, Oskar Blues has continued to invest in experienced staff. The brewery now employs 169 people in Colorado and North Carolina. Additionally, 60 sales reps support the brewery’s markets across the country, including a dedicated chain sales team of beer industry veterans, and more than 150 wholesalers. Noah Tuttle, NC head brewer, was promoted to North Carolina Brewery Operations Manager and CO head brewer Tim Matthews was promoted to Head of Brewery Operations for both locations in 2014. Innovation continues to drive the brewery. 2014 saw the nation-wide release and distribution of the first AmeriCAN craft NITRO beer in a CAN. After years of experimenting with NITRO draft brews, Oskar Blues Brewery decided to take the next step and insert the robustly complex OLD CHUB NITRO Scotch Ale into a CAN. The NITRO CANned OLD CHUB utilizes Ball Corporation’s widgeted can to deliver the epitome of a draft NITRO beer. A geyser of nitrogen churns from the bottom of each freshly-opened 16.4-ounce can and liberates the NITRO cascade to deliver the smooth body and creamy mouthfeel specific to nitro-infused beers. OLD CHUB NITRO has been modified from 8 percent ABV to 6.9 percent. 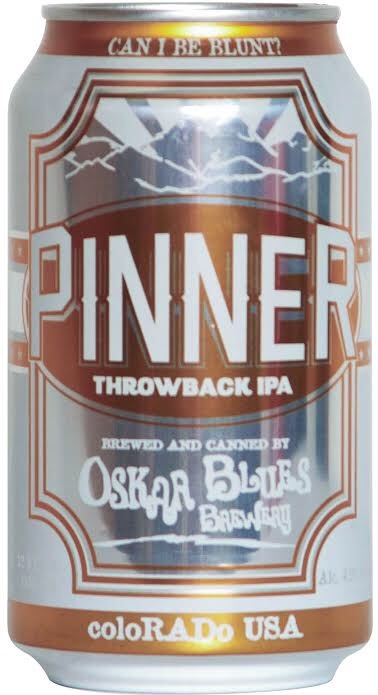 Oskar Blues also added PINNER Throwback IPA to the brewery’s year-round lineup of beers in 12-ounce CANs and on draft. In mid-December, PINNER was released first in Oskar Blues’ home states of ColoRADo and North Carolina. Coming in at 4.9 percent ABV and 35 IBUs, this primo dry-hopped brew is easy to throw back. PINNER will be added to the mixed-pack, CANundrum, starting in February, and in 6-packs nationally in March. To put it bluntly, PINNER will be the lowest ABV year-round beer to blaze out of Oskar Blues’ brewhouses, without sacrificing any of the hopped-up goodness beer drinkers expect from OB. Oskar Blues Brewery added a new 145-acre farm, serving as an epic beer and bike-fueled destination in Western North Carolina. Located about 8 miles from the Brevard-based brewery, the REEB Ranch is being developed as a haven for mountain bikers, a place to grow hops, pasture land for spent grain-fed cows, and a music and event space, all against the beautiful backdrop of Dupont State Forest. The REEB Ranch hosted the 2014 Red Bull Dreamline BMX competition on October 11. Over 3000 people attended the competition, which is part of the Red Bull Signature Series, the most progressive action sports event series in the world. The name REEB Ranch pays homage to REEB Cycles, Oskar Blues hand-made bike company based in ColoRADo, which also experienced 65 percent growth this year. In addition to building custom bikes, the REEB Cycles team run a full-service bike shop at Oskar Blues CyclHOPS Taqueria in Longmont. Both breweries hosted Burning CAN Beer Festivals, day-long music, beer and outdoor adventure parties, which drew thousands of beer lovers to Lyons and Brevard. The festivals benefited the Colorado Brewers Guild, the Town of Lyons Parks and Recreation, and Western North Carolina Alliance. The year 2014 saw the further growth of Oskar Blues CAN’d Aid Foundation, hitting the $1 million donation mark in donations. Owner and Soul Founder of Oskar Blues, Dale Katechis, was awarded an E-Chievement Award for the philanthropic achievements of the CAN’d Aid Foundation. CAN’d Aid developed national partnerships in a variety of focus areas, including outdoor recreation, arts and music, and environmental sustainability. 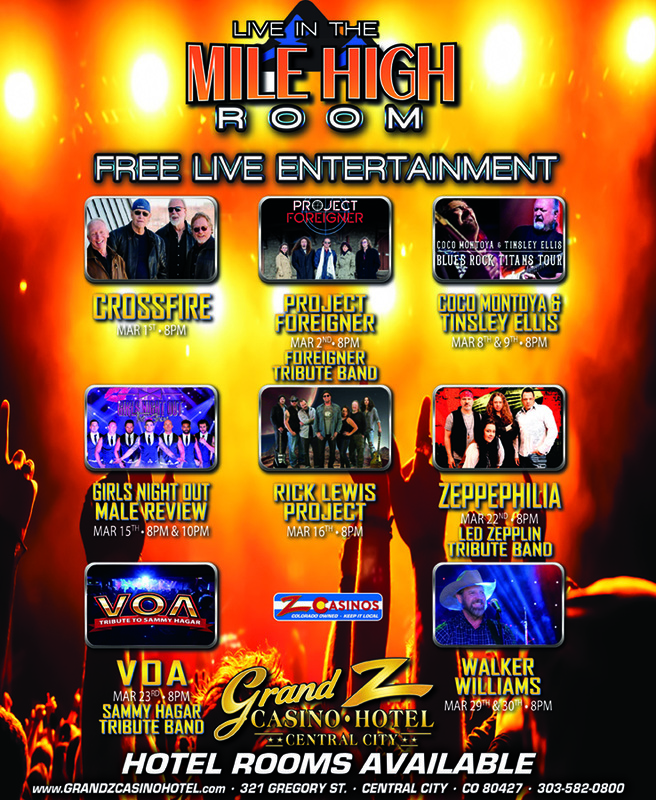 The Foundation’s initial focus in the first year was maximizing fundraising efforts for the expedited distribution of monies to ColoRADo communities that experienced massive devastation from severe flooding that struck the Front Range in September 2013. Looking ahead into 2015, CAN’d Aid has partnered with nationally-renown bluegrass band, The Steep Canyon Rangers. Led by the new CHUBurger at the Colorado Rockies’ Coors Field, Oskar Blues restaurants continued to provide quality craft food and beer. Homemade Liquids & Solids, CyclHOPS, and CHUBurger, all in Longmont, the original Grill & Brew in Lyons, and the CHUBwagon food truck in Brevard, round out Oskar Blues down-home dining experiences. Tags: CAN'd Aid Foundation, Lyons, Oskar Blues Brewery. Bookmark the permalink.